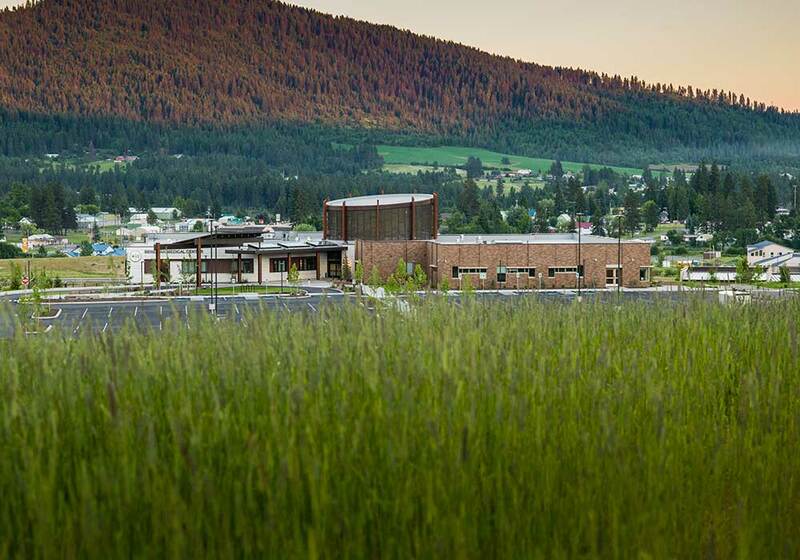 This beautiful 50,000 SF Medical and Wellness Center is located on the Coeur d'Alene Indian Reservation in North Idaho. 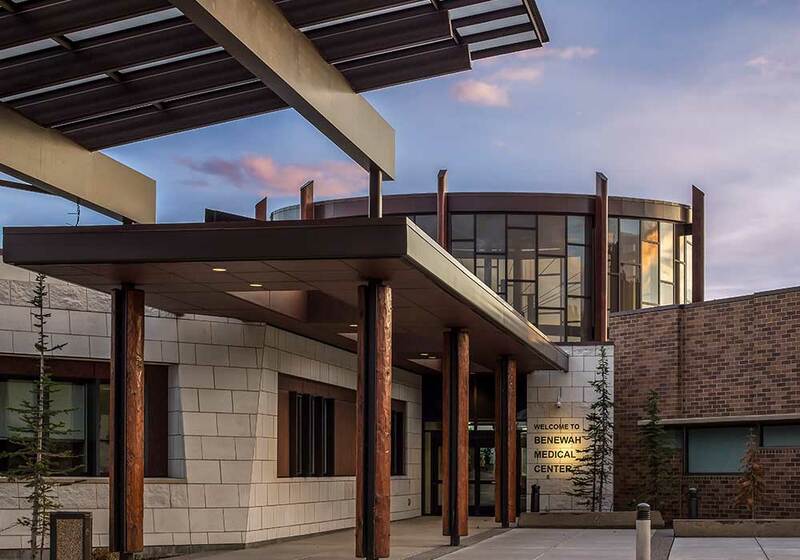 An open atrium, rooftop gardens and stunning mountain views add to the uniqueness of the building. 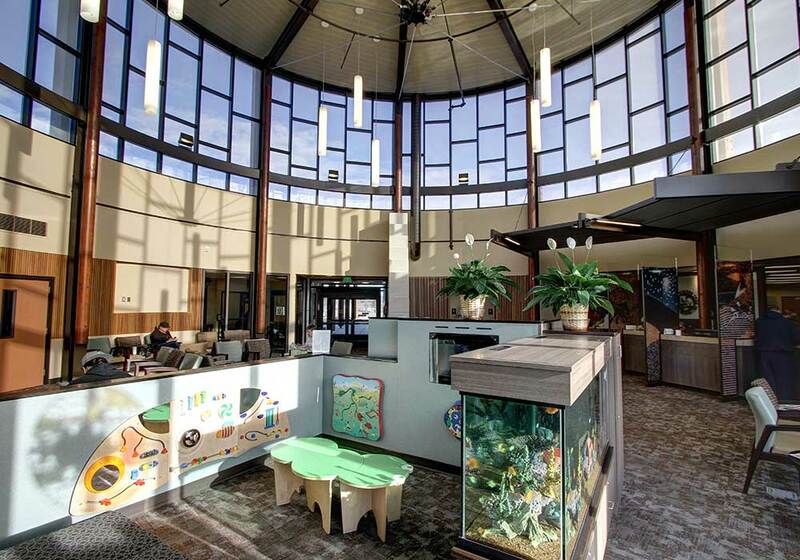 The clinic replaced a 20 - year facility, and includes 24 exam rooms on its 30,000 SF main floor. 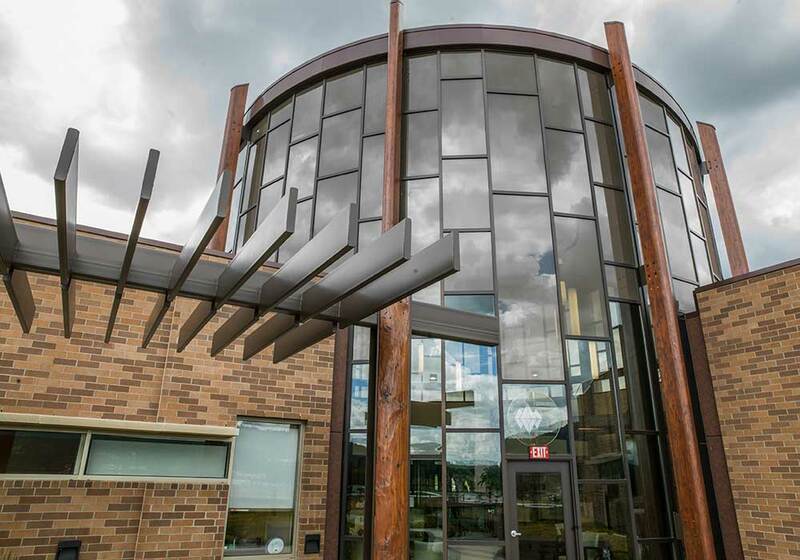 The tribe's medical, dental, community health, counseling, pharmacy, medical lab, and patient financial services are located on the main level. 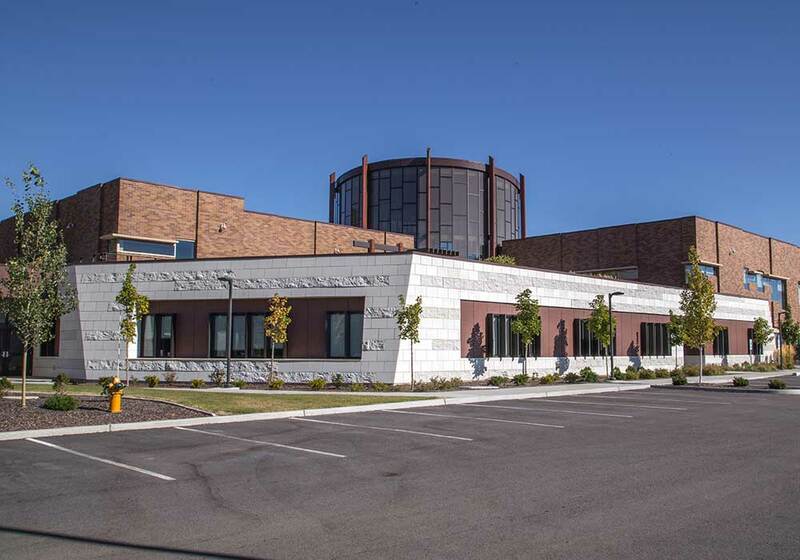 Its administration offices, classrooms, a staff break room, electrical and mechanical rooms, and storage space are located on the 20,000-square-foot lower level. 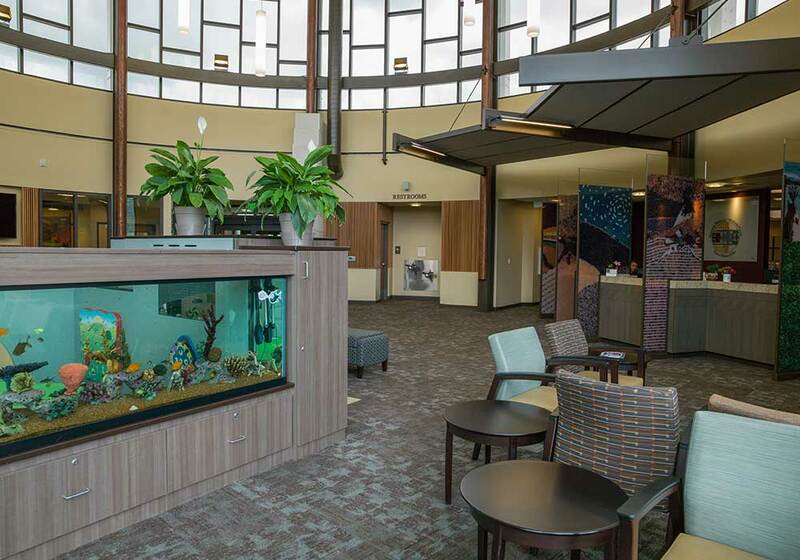 A separate 1,600-square-foot building houses maintenance equipment for the medical center. 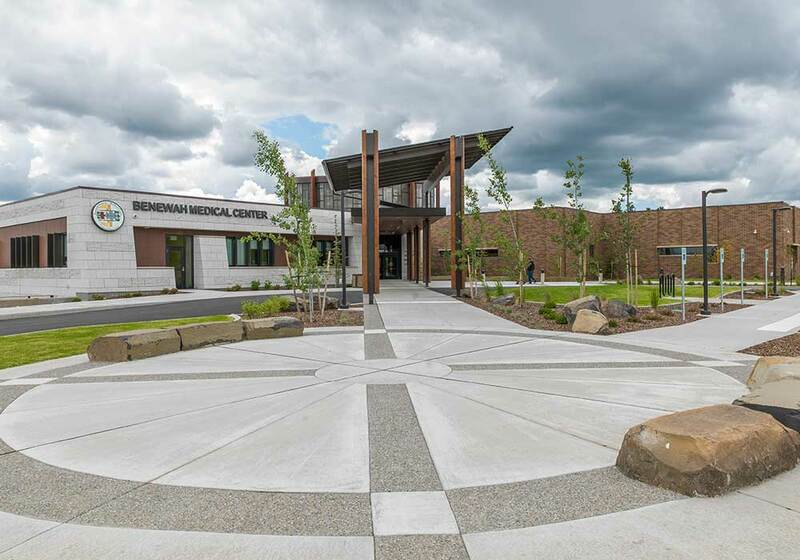 The Benewah Medical Center won an honor award for 2013 from the Masonry Industry Promotions Group.